Two barrels of different lengths included, in addition to a Rossi clarinet case (hand-made, always). Tone-hole side keys for F#, Eb, C#/B#, and B/F# safely located out of the path of condensation. R.H. side trill keys for B and Bb mounted on independent posts. Ab/Eb lever for L.H. pinkie (optional). Raised tonehole for L.H. ring finger (optional). Rollers for R.H. pinky (optional). 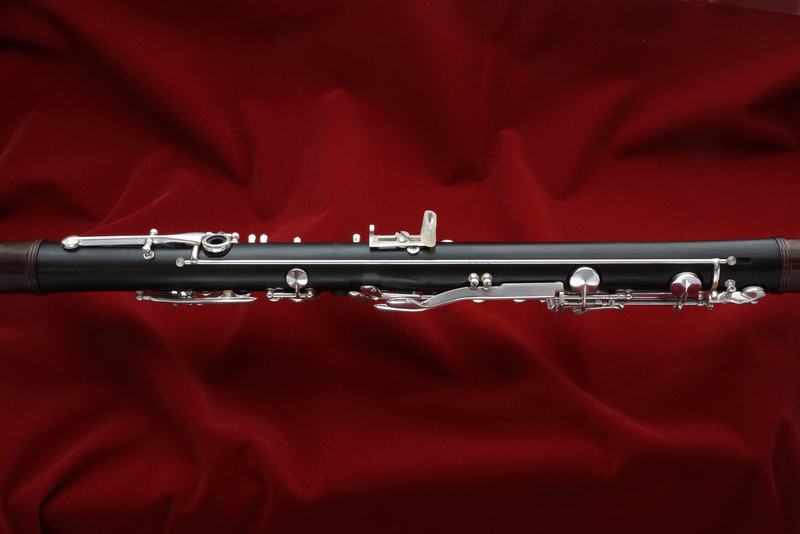 All Rossi clarinets use the Boehm system, hand-made in adherence to the highest standards of quality, and maintaining the now classic one-piece body plus barrel and bell. Compact and powerful. Solid dark sound, with built-in focus and brilliance. Poly-cylindrical bore. The middle of the bore measures 14.65 mm. in diameter. ​Flexible and resilient, with a powerful, woody, sweet sound. Excellent projection. Bore dimensions closely resemble the American model, as do the response and intonation. ​Warm and clear, the LR combines a robust powerful resonance with an extremely smooth and mellow timbre. 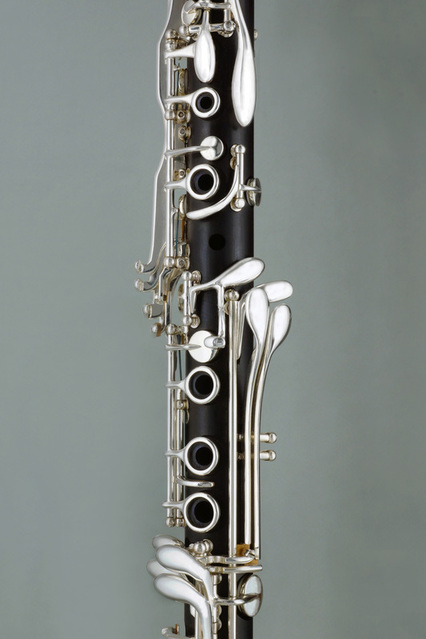 American poly-cylindrical bore with tone-hole placement derived from the French model creates a sound which is very powerful but slightly less "direct" sounding than the American model. 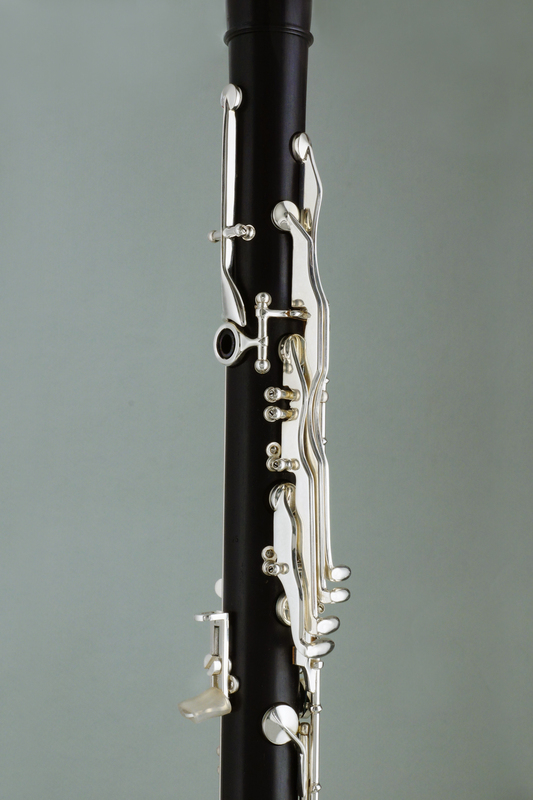 Ideal for players who like an A clarinet tonal quality on both their B flat and A clarinets. Barrels for A = 440 and 442 included. Shorter or longer barrels also available. ​15 mm. is the bore diameter currently used in Vienna. 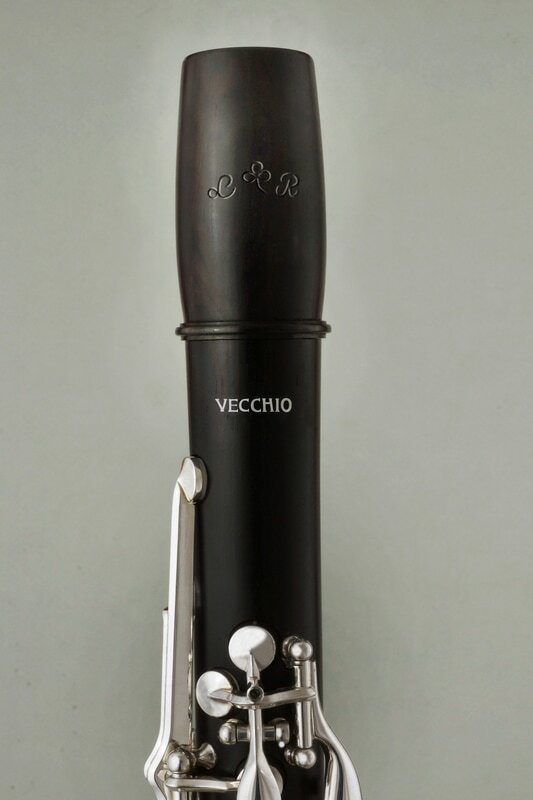 This model tunes with a standard French type mouthpiece. Big tone, very flexible and rich-sounding. Barrels for A = 440 and 442 included. Shorter or longer barrels also available.